So, actually, I probably went into my Revlon purchase with even higher expectations because I had clear ideas about what it should do, how it should look, and how it would feel on my skin. My expectations for the powder were a bit lower, though, since my skin doesn't always play nice with powders, particularly in winter when it gets dry and flakey. And once again, I think it's safe to say that both the Nearly Naked Foundation and the Pressed Powder exceeded my expectations. The foundation is very similiar to the UD version. It's a liquid-y, rather thin formula that blends really easily into the skin. It feels incredibly lightweight on the skin and look absolutely natural on the skin. While the coverage is on the light side, it's extremely easy to build it up to medium. If you have really stubborn acne or age spots, you may need to use some concealer too but you'll get a much nicer, natural look than if you use full coverage foundation all over your face. The finish is natural, with perhaps a little more dewiness to it than the UD version, which calls itself "demi-matte." Its lasting power is pretty good too -- with a primer (and I've used several different primers with it for similar results), I can get a solid 6 hours of wear out of without needing any touch ups. 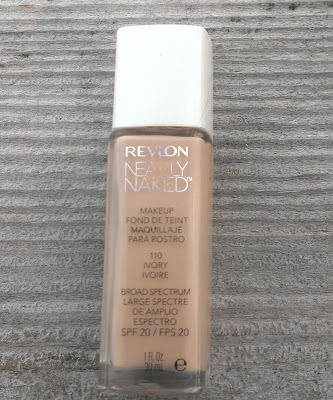 I think that the Nearly Naked Foundation would work for virtually any skin type -- those with extremely dry or extremely oily skin might have a slight problem but could still get it to work with a little tweaking, I think. Personally speaking, I have a pretty flakey forehead at the moment (I'm not sure why that one spot is so much drier than the rest of my face when I use same products on it that I do everywhere else but ...) and the foundation doesn't accentuate that in any way. I've applied it with several different foundation brushes and the Beauty Blender sponge, and it looks beautiful with both. The Nearly Naked Foundation comes in a glass bottle that contains the standard 1 fl. oz. of products. However, Revlon dropped the ball again here -- and this is probably my only complaint about the product -- and there's no pump. It's a particular problem with this foundation because the formula is very lightweight and liquid-y so it's really easy to pour out too much. 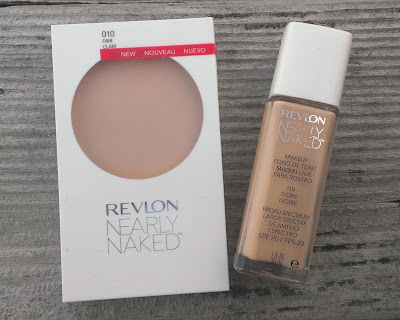 I'm not sure why Revlon is so adverse to pumps -- I know there's one on the Photo Ready Foundation, so why not put one on all their liquid foundations? Frustrating, for sure, but I'll overlook it because the foundation is that good. When it comes to the Nearly Naked Powder, I have to admit that I've never been this impressed by one from the drugstore before. Since my skin has become drier, I haven't been able to find a single one there that didn't wind up looking cakey or accentuating my flakiness. When you rub your finger against the powder, it is incredibly smooth and finely milled -- and that's exactly how it looks on the skin. 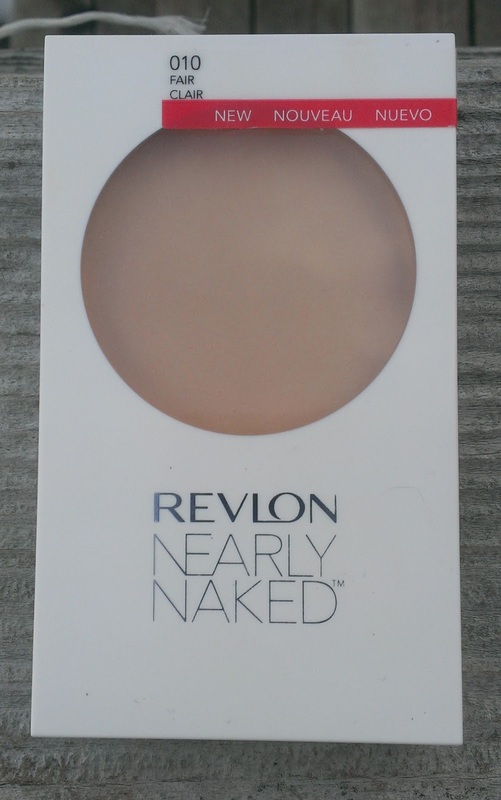 It doesn't deliver much coverage, but then, it's not supposed to -- it's supposed to give you a natural look, hence the "Naked" name. The powder comes with a small puff, but I use a large fluffy powder brush to apply it. Like the foundation, its finish is not really matte or dewey -- it's natural. 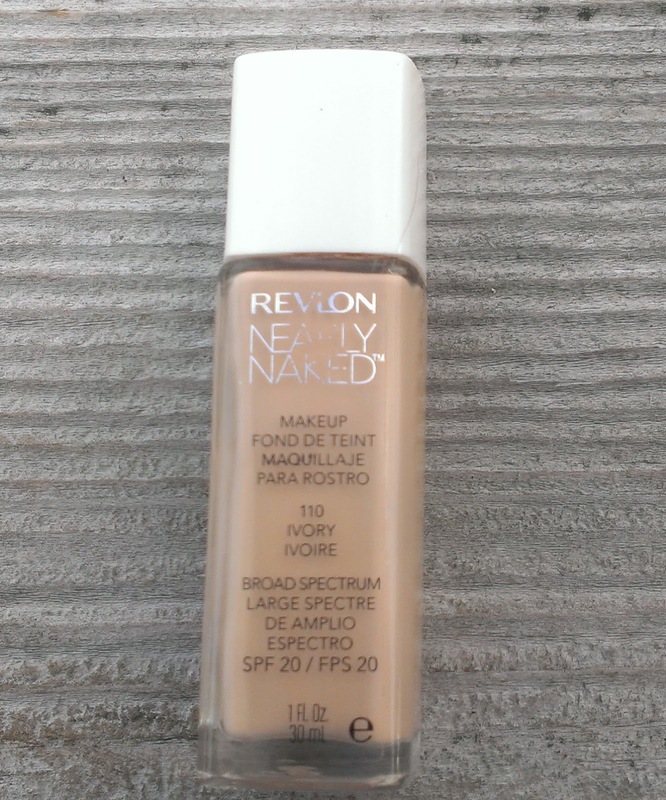 It is a perfect complement to the foundation, but I've worn it over the UD Naked Foundation, my MUFE HD Foundation, and my Revlon Colorstay Whipped Creme Foundation, and it works beautifully over all of those. 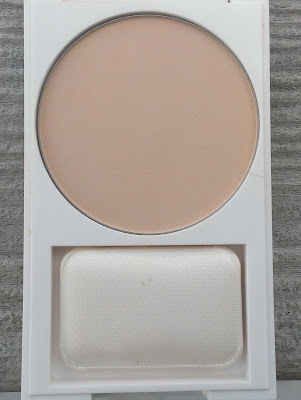 Just like the foundation, it doesn't accentuate the dry patches on my forehead -- that's a minor miracle for me these days so I'm pretty much in love with this powder. Again, I'm not sure how the Nearly Naked Pressed Powder would fit extremely dry or extremely oily skin, but I think any type of skin in between would look lovely in it. You get a little over 8 grams of product, which seems just about average for pressed products give or take a gram. In the foundation, I wear shade 110 Ivory and in the powder, I wear 010 Fair -- both work well with my super fair skin. Really, I can't say enough good things about this foundation and powder. 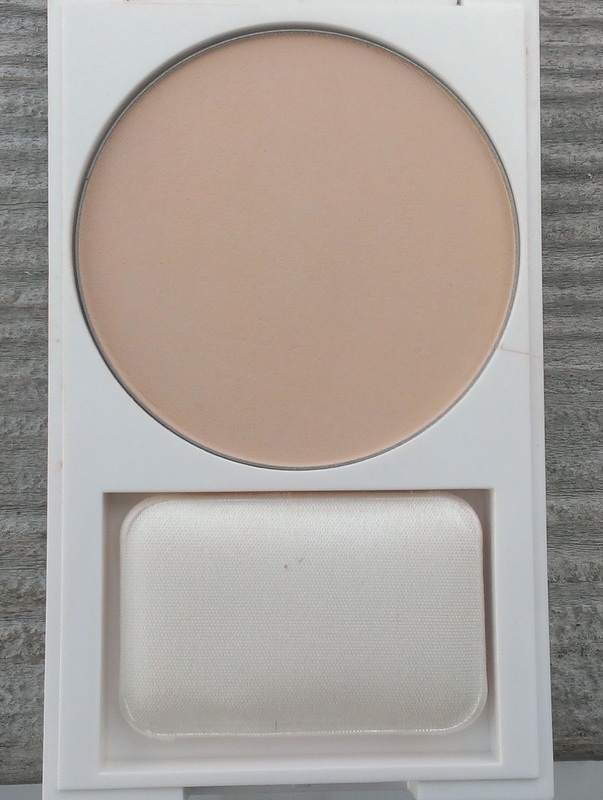 If you have trouble with powder looking cakey or heavy, give the Nearly Naked Pressed Powder a try. I don't think you necessarily need to use these products together, but they really do make a fabulous pair. 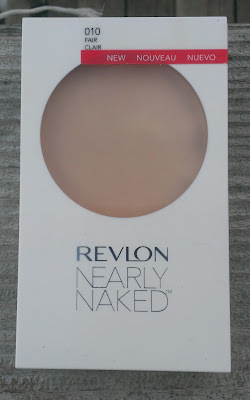 Have you tried the Revlon Nearly Naked Foundation and Pressed Powder? Are you a fan of these "naked" looking foundations and powders? The Ivory is a pretty good match for my super pale skin so if you're not extremely fair, Vanilla might be a better choice. Is the powder more of a pinkish undertone? I have the powder in 020 Light and I'm not sure if I should go exchange it for 010 Fair because I do use the shade Vanilla. Does Foundation ivory is more pink that the powder fair? So, the powder is more neutral? or makeups are the same color? 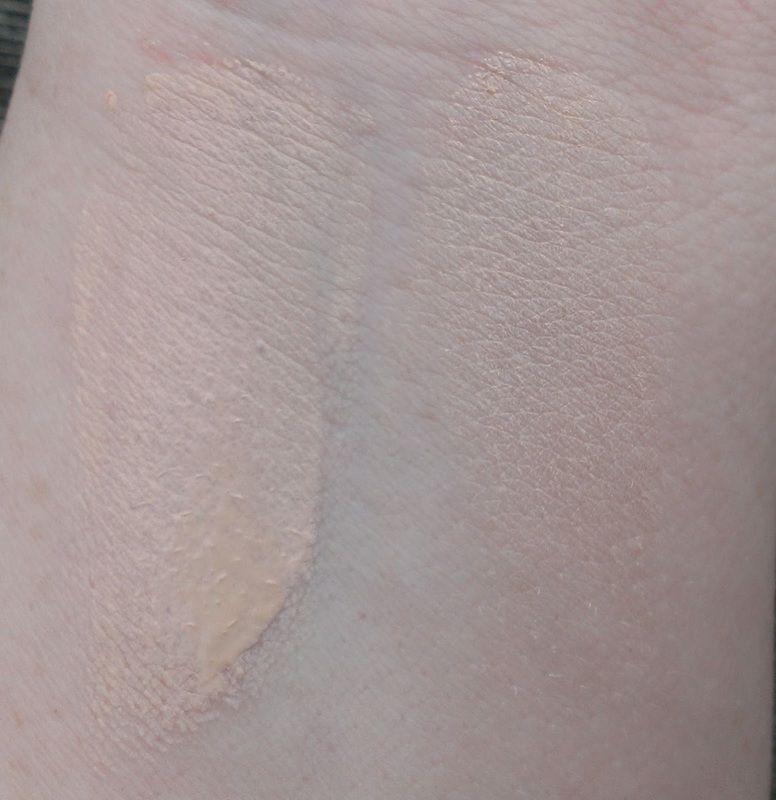 To me, the powder seems to lean more toward neutral, but that might just be because its coverage is much sheerer than the foundation so the pink undertones aren't as apparent. The foundation and powder pair perfectly well together, though, if you're worried about that.